Meeting a dog’s physical, mental, and emotional needs during a period of limited mobility can help reduce the possibility of future behaviour problems, alleviate some of the stress of caring for a less active canine, and help aid recovery. 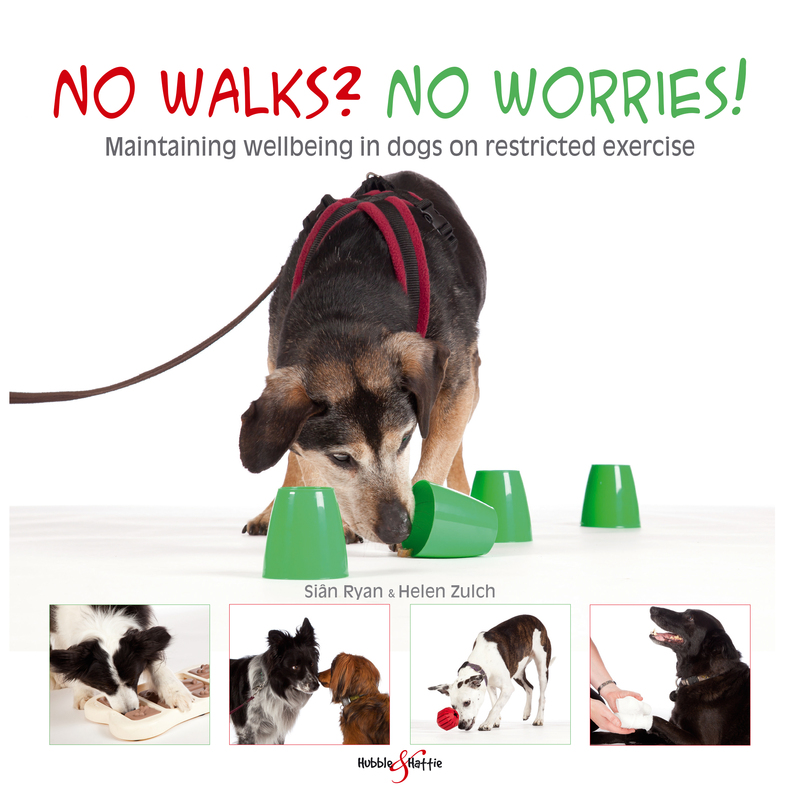 Encouraging owners to reflect upon, and take into account, their dog’s individual requirements in advance of surgery or other lifestyle-limiting event, the book also contains information and advice about appropriate activities that owners can introduce to their dog’s daily routine whilst walks are limited. These words – which often form part of the treatment requirements for dogs undergoing surgery, or requiring long-term medical care – can strike fear into an owner’s heart. Not a lot of advice is available regarding appropriate mental and emotional support for dogs whilst their usual exercise is limited, and owners are left to manage as best they can, which can be stressful for both owner and dog, and can lead to behaviour changes and problems. This unique book, written by professionals in their field, aims to help owners identify the individual needs of their dog, and, in addition, offer support in preparing their dog for a period of restricted exercise, when surgical interventions are planned. Ideas and tips for mental stimulation and emotional support – as well as alternatives to physical exercise and guidance on how to teach specific skills – are included. Beautiful, specially-taken photographs illustrate every chapter, and worksheets enable owners to chart the progress of their dog’s care plan. Buy now from the vendors below, or click here for more details on How and where to buy eBooks.